Showing results for tags 'montreal impact'. There's a lot of chat to be had, so have a listen! You can listen to this, and all previous, episodes of the podcast on iTunes HERE. Or download it for your later listening delight HERE. We also have an iPhone app, so you can now add our podcast to your phone as an app. 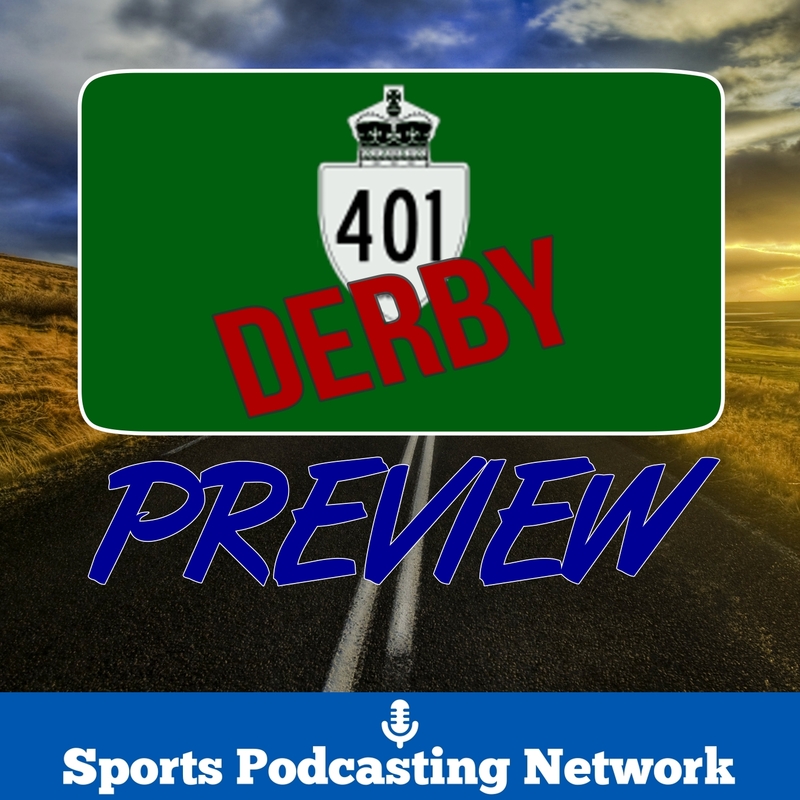 Visit the podcast's mobile site HERE and then at the bottom of the screen just click the "Quick Launch" icon and the podcast will be added to your home screen and appear as an app. 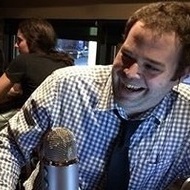 And if that's not enough, we're on Stitcher Radio Network. Download the app and listen to the AFTN podcast on your device, along with over 20,000 other shows HERE. Or after all that, you could just listen on the player below! Have a listen! You can listen to this, and all previous, episodes of the podcast on iTunes HERE. Or download it for your later listening delight HERE. We also have an iPhone app, so you can now add our podcast to your phone as an app. Visit the podcast's mobile site HERE and then at the bottom of the screen just click the "Quick Launch" icon and the podcast will be added to your home screen and appear as an app. And if that's not enough, we're on Stitcher Radio Network. 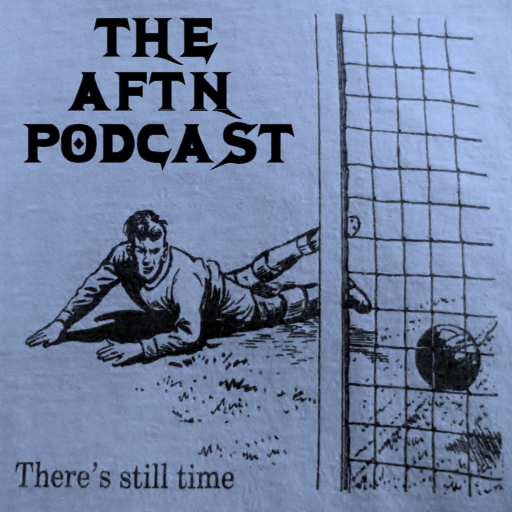 Download the app and listen to the AFTN podcast on your device, along with over 20,000 other shows HERE. Or after all that, you could just listen on the player below! Report and Reaction: About Damn Time? Damn right! REPORT: After so many heartbreaking losses in the Canadian Championship, Vancouver Whitecaps lifted their first Voyageurs Cup in front of 19,616 fans at B.C. Place. Octavio Rivero scored in the first half, Tim Parker provided the second and David Ousted earned the clean sheet in the 2-0 victory on the night and a 4-2 aggregate win over the Montreal Impact. The Whitecaps started off the match looking for an early strike and Techera looked to set up Manneh but the attempt on goal was stopped by the keeper in the second minute. Techera had his own chance in the 24th minute when his attempt off a free kick forced Kronberg into some quick thinking to keep it scoreless. The turning point came on the half hour mark, when Impact defender Victor Cabrera was sent off, after picking up his second yellow, for taking down Rivero just outside the box. The ensuing free kick by Morales was sent over the net but the Caps would make the one man advantage count when Rivero opened the scoring five minutes before half time. It was Techera who intercepted a Reo-Coker back pass and got a shot off that deflected off Kronberg, dribbling towards the net before Rivero slammed the ball in from an inch out. The opening five minutes of the second half saw Manneh try to double the lead but the winger was first stopped by Kronberg and then had a pass smothered by the keeper. The match never seemed in doubt but the insurance marker came in the 53rd minute when Tim Parker connected on Pedro Morales corner and headed the ball powerfully home. 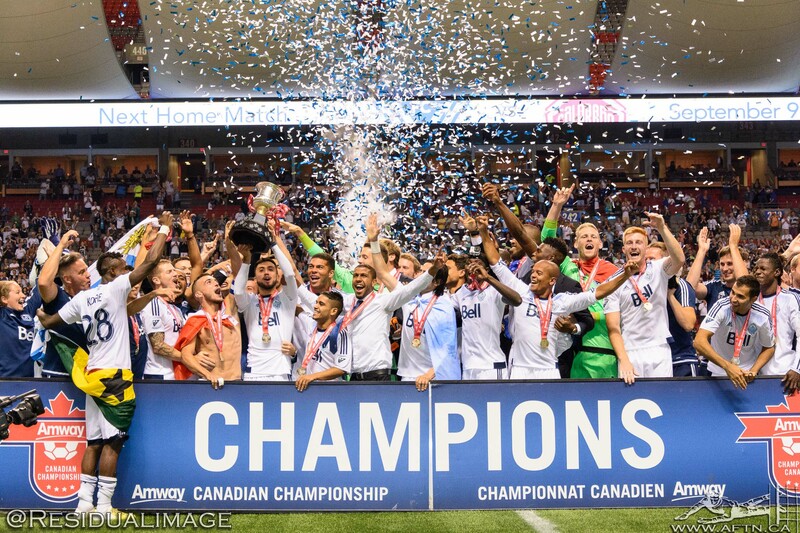 Vancouver had two to three more chances to extend the lead but two goals were enough for the Whitecaps to capture their first Voyageurs Cup and become Canadian Champions, clinching a spot in next season’s CONCACAF Champions League in the process. The players will have very little time to enjoy the title as they will travel to Texas on Saturday where they will face the Houston Dynamo, looking for three points in the Supporters’ Shield race. FINAL SCORE: Vancouver Whitecaps 2 – 0 Montreal Impact [Vancouver win 4-2 on aggregate] ATT: 19,616 VANCOUVER: David Ousted; Steven Beitashour, Kendall Waston,　Tim Parker, Jordan Harvey; Russell Teibert, Gershon Koffie (Matías Laba 84); Cristian Techera, Pedro Morales (Mauro Rosales 68), Kekuta Manneh; Octavio Rivero (Darren Mattocks 72) [subs not used: Paolo Tornaghi, Christian Dean, Robert Earnshaw, Jordan Smith] MONTREAL: Eric Kronberg; Ambroise Oyongo, Victor Cabrera, Laurent Ciman, Donny Toia; Calum Mallace, Marco Donadel (Eric Alexander 73), Nigel Reo-Coker; Johan Venegas (Andrés Romero 64), Dominic Oduro (Anthony Jackson-Hamel 64), Justin Mapp [subs not used: Maxime Crépeau, Eric Miller, Maxim Tissot, Wandrille Lefevre] VANCOUVER WHITECAPS CARL ROBINSON On whether this was the strong performance he was looking for: "I think it was, yes. Going into a cup final, second leg, I said to the guys, it’s one game. We’re one game away from making history for the club, because we’ve never won this tournament before. I didn’t know whether to put a bit of pressure on them or try and take the pressure off them, but I challenged them. I said listen, ‘They don’t come round to you too often, games like this. We’re at home, in front of our 20,000 fans, it’s in our court. Time to step up boys,’ and they certainly did, each and every single one of them. What a professional performance that was. So bloody proud of them today, really am." On what’s going through his head right now: "Do you know what? If I’m being honest, it’s about my father. 18 months ago when I took the job, I lost a big part of my life and I said I was going to enjoy myself and do everything to make him proud of me. My wife and two children are here today, mom’s back home, but I miss my dad, I really do. So I’m a little bit sad, but don’t take away from how important this trophy is for the club. Because, it’s not about me. The group of players love it, love it to bits in there, the mentality they have. But it’s about the club, the club has never won it and it’s for them today. I’m delighted for every single one involved with the club." On whether this is an experience they can draw upon moving forward: "I hope so, I really do. It’s difficult being a manager. I will say that, because you’re here to get shot down. If you rest a couple of starters or regular players, which I have done, you get criticised. I’ve never underestimated this tournament, without a doubt. I’ve been fortunate enough to win it. I think [John Molinaro] asked me a question on Tuesday about winning it, and I did but it isn’t about me. It’s about these group of players in there and this football club at this current time. Hopefully it will stand us in good stead. I told them to enjoy it tonight, because they deserve it. The performance, the way we managed the game, we didn’t get caught up in anything, because I think it could have gone overboard at times, but we didn’t. For a group so young, they showed a lot of maturity tonight. We’re still early stages, we’re still building this football club." Thoughts on Russell Teibert and his play throughout the tournament: "It’s fitting, isn’t it [that Russell is a Canadian bringing home the MVP trophy]. Russell hasn’t been in the team lately because of how good Matias and Koffie have been. Team’s don’t win things, squads do. I’ve said that all along. To rest Matias today, and it was resting him, I put Russell in because this tournament means a lot to Canadian players, without a doubt. I just sensed it in training that he had a bit between his teeth. I challenged him and arguably he was the best player on the field today and really deserves the MVP and the bottle of champagne he has in there." 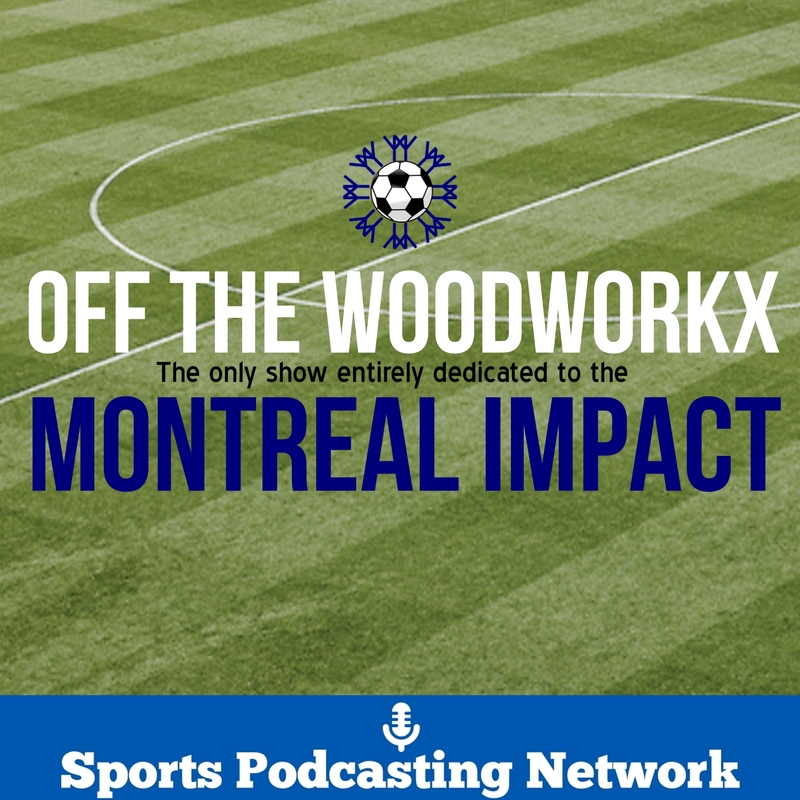 On Octavio’s earlier play and getting under Montreal’s skin: "Even though he hasn’t scored goals in the last couple of games, what he brings to the table is fantastic. His movement, his hold up play. I think he gave the two centre backs a torrid time. He gets his reward in the end from working hard and being a big contributor to the team. I pulled him off and he wasn’t too happy, because he wants to stay on and score goals, but Darren is a big part of this club as well. And Darren looked sharp when he came on and could have got himself a goal or two as well. You know, the squad depth will be tested this week. We go to Houston, a very tough game for us. We’ll go and we’ll try and win that game." On winning Cup as a player v a manager: "You know what, I’m probably more pleased as a manager, even though I’ve had nothing to do with it, as funny as it sounds. Because when we won it in Toronto, everyone wrote us off and unfortunately for Vancouver, we managed to score five, six goals. It was great, because I had a big influence in that. I didn’t say I played brilliant, because DeRo scored a hat trick, but I was involved in the team. Today, it’s about that group of players in there. No glory for me whatsoever. Whichever manager is in charge, it’s about the club and it’s about the group of players today. And they should enjoy it." RUSSELL TEIBERT On winning the Canadian Championship: "It is hard to put it into words. It means so much winning this in front of friends and family. It is about time we won this. The season is not over yet, we still have a lot of work to do." On being MVP: "I am grateful but it is important we won the trophy as a team. I am happy we won this championship. We have to get used to winning trophies and championships, this was our time tonight and we showed what we are capable of." On starting this game: "The manager is always taking care of his players. Whether you are playing or not, we are happy that we won as a team. I would still be celebrating if I did not start this game." On winning as a Canadian: "As a Canadian winning this trophy meant a lot to me. I am proud to be a Canadian champion, and I want to take part in every major competition game but this one meant a bit more to me because I am Canadian." On winning in front of the home crowd: "I am proud, we have had too many heartbreaks in this tournament. The fans were always supporting us, and always having our back. We deserve this trophy and I am glad we won it." GERSHON KOFFIE: On his performance: "I did good. I did what the coach asked me today and we were able to get the victory. " On playing against Nigel: "It was great playing against Nigel. He is a great player and I learned from him at Vancouver. I did what I had to do get us the victory." On winning after losing three times previously: "It means a lot to me. I have been with this club for a long time and this is my first trophy. I am so excited, to come up with these results, it requires a lot of team effort and we were able to win as a team." On winning in front of the home crowd: "It is great. The fans made it happen and we are very thankful to have such great supportive fans." DAVID OUSTED: On his thoughts this game: "Delighted for fans, and the organization. It meant a lot and you could see the team but the fans, it means a lot to them. Hopefully one of many to come." On his play of his team: "I thought we played well and were able to control the game. I think we played well, especially second half, we made sure to possess the ball more and not give them any chances to win. I think it was clear who was going to win because of our possession." On his thoughts on how winning can boost his confidence: "I think the silverware is going to give us confidence going forward. It is going to make us hungry to try and win a couple more trophies. Let’s see where we get to but I think we are going in the right direction." MONTREAL IMPACT FRANK KLOPAS On tonight’s loss: "It’s hard to swallow. There were two different games. The first 30 minutes and the next 60 minutes." On playing shorthanded after Victor Cabrera’s second yellow card: "It’s unfortunate because both teams came to play and then the game changed. We made a mistake to go down 1-0 and that changed everything. The second goal came after that and there’s not much you can do. You push the game as much as you can but when you’re playing shorthanded for 60 minutes, it makes it very difficult. It’s a whole different story." On the team’s chances after falling behind 1-0: "We were organized. You have to push the game so you take more risks and you’re more open. Regardless, the whole game changed for me after the second yellow card took Cabrera out. That changed the whole game. My two centre backs got first yellows right away. It’s amazing especially when the linesman called the first." On the team’s performance in the first 30 minutes: "It’s a final. We wanted to make sure we defended well in the middle. We didn’t give them opportunities in transition. They had one chance early in the game then the game settled. There were moments when we had the ball and moved the ball well but everything changed after that. Congratulations to Vancouver, they played well. It’s just unfortunate that the game would’ve been a lot more entertaining for the fans as a final. It’s a shame that the players on the field could’ve played an exciting game for 90 minutes but it was only for 30. I’m sure the fans here enjoyed it because it went their way but I’m just disappointed that we’re here talking about the referees. I’m not taking away from Vancouver, congratulations to them. It’s disappointing with those fouls and yellow cards came so easy." On the quick turnaround to the next match: "We’re playing right away. We travel five hours to play, that’s what makes it difficult. We wanted to push the game and win the game, just like they did. Obviously, that became difficult after the 30-minute mark. Not only you lose the final but you play shorthanded for 60 minutes. You have to travel back, you try to make moves thinking forward to Saturday after the second goal. We thought about this game first more than anything." On goalkeeper Eric Kronberg’s performance: "I thought he did a good job. I don’t think he could’ve done anything. We made a mistake on the first goal. The second goal was off a set piece. I think we were marked tight but Tim Parker somehow maybe was a little bit stronger, pushed our guy off a little bit and gets a little bit of an advantage and they scored. The first was off a mistake and the second was off a set piece." ERIC KRONBERG On tonight’s loss: "I think we’re going to look back at this game and think it was something that got away from us. Sometimes there are some extra factors that play into that. It hurts but you have to move on. We have another game on Saturday that’s important to us. You have to move forward. Going into the game, I was confident. The boys were confident. We all felt we had a shot. We get out there and some calls were made. It’s kind of strange that the referee didn’t make all the ticky-tacky calls but he called light yellows. Usually, it’s the ticky-tacky referees that call the light yellows. It was a little different from what I’ve seen. It’s just the nature of the game. You get different referees and you just have to adapt." On the quick turnaround to the next match: "We’re going to have a tough time sleeping tonight. That’s the nature of the beast. You have to turn around quick and be ready for the next game quickly. I think we’re going to put it behind us quickly and work hard in the next couple of days. We’re going to get things sorted out. We don’t lose anybody so that’s good. It’s also a chance to redeem ourselves a little bit. It’s another rivalry. We get to go into Toronto and it would be awesome to get a win. We can get right back on track. The game against Toronto would be a great opportunity for that." On the outlook for the rest of the season: "Now, we have to make a run for the playoffs. That’s what it comes down to. We just need to believe in ourselves. We have to play consistently and make the playoffs and make a run." CALUM MALLACE On tonight’s loss: "We came out pretty well. We knew they were at home and they were going to come out fast. We knew they were pretty comfortable with the 2-2 draw at Montreal but I thought we matched them pretty well. Our game plan was to catch them at times and play well defensively but push the game as well. I think that’s what we did. That second yellow card came and that changed the game." On Victor Cabrera’s yellow cards: "I don’t know, I have to look back at it. At that time, I thought it was a little harsh. I thought the second one was definitely a yellow card. I couldn’t even see the first one. It is what it is. You have to deal with it and move forward." On losing another championship final: "It’s never easy losing any game but a final is that much more difficult, especially the Canadian Championship with a few teams in it. You feel like every game is a rivalry game. This one being a cup final, it’s definitely a difficult one to swallow." On the quick turnaround to the next match: "It will definitely be difficult to put this one behind us but that’s what we have to do. With the end of our season coming, we have a lot of games in a short span so regardless of the result, we have to put it behind us as soon as possible and move on to the next one. It’s going to be a tough game in Toronto." REPORT: Vancouver Whitecaps made it three losses in their last four matches, crashing to a 2-1 defeat in Montreal. 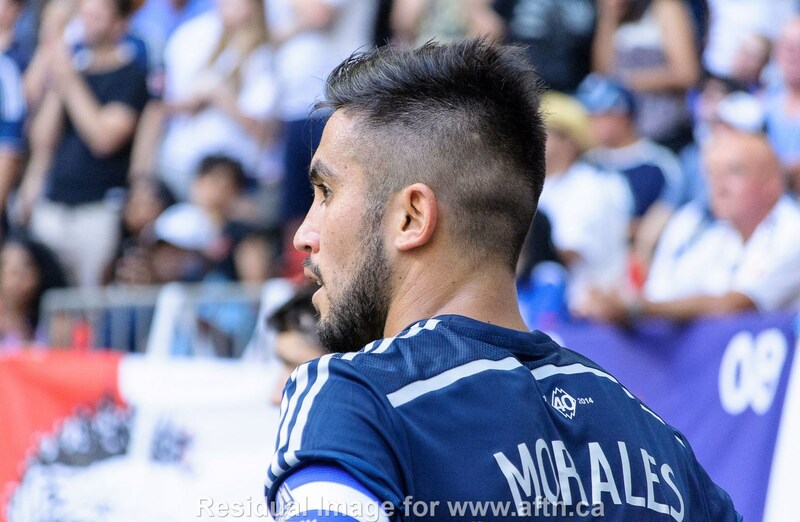 Despite dominating play against the Impact at times, the Whitecaps couldn't get the job done in front of goal and once again it proved to be very costly. Jack McInerney gave Montreal a first half lead, but Pedro Morales gave Vancouver a lifeline with a penalty 11 minutes from time. The Whitecaps sensed a winner but as they pushed, the Impact hit them with an 83rd minute winner from Ignacio Piatti. With one eye on Saturday's trip to LA, Carl Robinson made six changes to the starting line-up. A risky move in for the more winnable game of the two, on paper at least. The Whitecaps made an unusually slow start out of the traps and the Impact weren't much better. It was the home side that took the lead, however, in the 14th minutes and it was pretty much out of nothing. A weak clearance from Diego Rodriguez fell to Lauren Ciman about 25 yards out and his dipping volley crashed off the crossbar. David Ousted was beaten all ends up in the Caps goal and was left looking for where the ball had gone. Straight into the path of Jack McInerney as it turned out and the striker made no mistake in firing home the rebound from 12 yards out. The goal spurred Vancouver on and they took the game to Montreal, dominating play and controlling the midfield, but, once again, without getting the vital breakthrough in the final third. They certainly came close. In a blistering spell to end the half, Kekuta Manneh had the ball in the back of the net in the 40th minute but it was quickly called back for offside. Nicolas Mezquida then saw his shot deflected over the bar on the stroke of half time and there was still time for Darren Mattocks to crash an effort off the left post. Promising signs, but a case of same old, same old for the Caps in the final third? 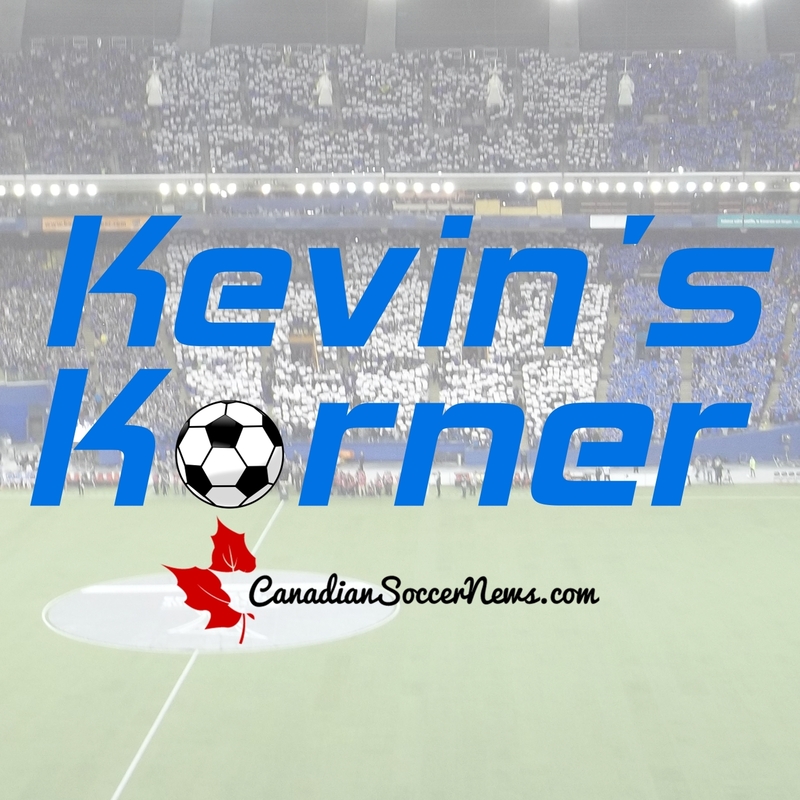 Montreal started the second half strong and McInerney forced Ousted into a save at his near post in the 50th minute, winning a corner that the Impact couldn't capitalise on. Both teams were enjoying possession but Montreal were coming up with the better chances, with Ousted tipping over from Andres Romero just past the hour mark. Vancouver used all their subs in an attempt to get something from the game and they were handed to the opportunity to do just that when Jordan Harvey was brought down in the box by Romero in the 79th minute. Morales, who had not long come on as a sub, easily slotted home the Caps' first penalty of the season and it was 1-1. The Whitecaps' joy was to be short lived. Four minutes in fact. Piatti was given too much space in the box and collected a pass from Romero to fire home between Tim Parker and Harvey and past Ousted, to put the Impact back in the lead. Montreal nearly made it three moments later when Anthony Jackson-Hamel headed narrowly wide. The Caps pushed for another equaliser, but the home side shut up shot and there was to be no way through. Piatti had the last chance of the game in stoppage time when he nearly scored a fantastic chip over Ousted, but the Dane did well to grab the ball. A very disappointing loss for many factors, the two biggest being the way that the Caps dominated the play at times but mostly because this was perhaps the most winnable game on Vancouver's gruelling five game stretch on the road. It's only going to get tougher over the next five weeks and the rest of the season. This one could really be costly for the Caps. 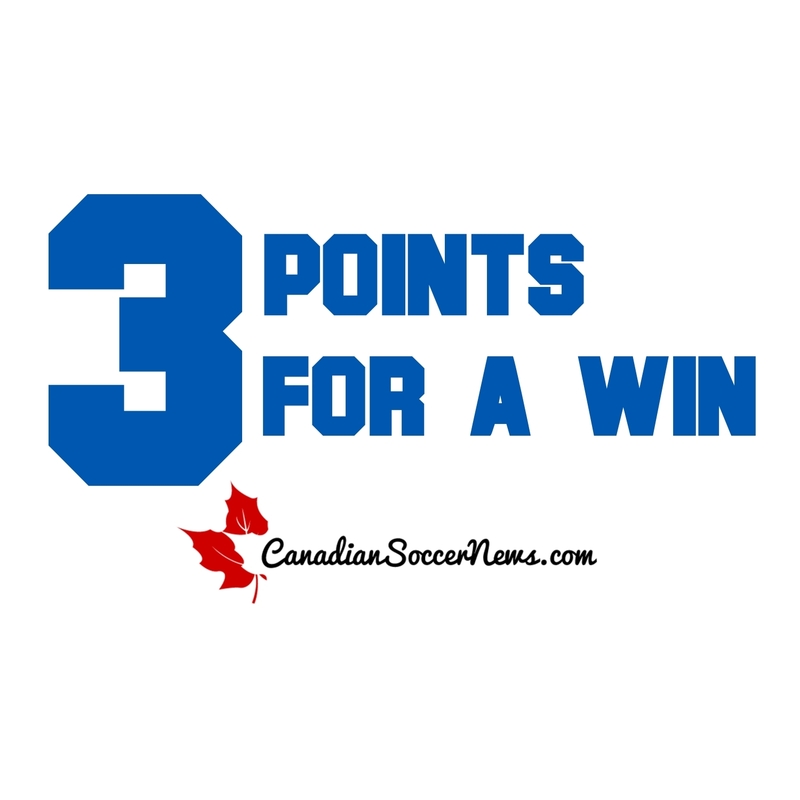 FINAL SCORE: Montreal Impact 2 - 1 Vancouver Whitecaps ATT: 10,035 MONTREAL: Evan Bush; Donny Toia, Wandrille Lefevre, Laurent Ciman, Ambroise Oyongo; Calum Mallace, Patrice Bernier (Anthony Jackson-Hamel 81), Andres Romero, Ignacio Piatti, Eric Alexander (Maxim Tissot 63); Jack McInerney (Nigel Reo-Coker 78) [subs Not Used: Eric Kronberg, Bakary Soumare, Victor Cabrera, Romario Williams] VANCOUVER: David Ousted; Tim Parker, Kendall Waston, Diego Rodriguez, Jordan Harvey; Matias Laba, Russell Teibert (Pedro Morales 74), Mauro Rosales Octavio Rivero 70), Nicolas Mezquida (Cristian Techera 63), Kekuta Manneh; Darren Mattocks [subs Not Used: Paolo Tornaghi, Christian Dean, Gershon Koffie, Robert Earnshaw] REACTION: VANCOUVER WHITECAPSCARL ROBINSON On the overall game: [On TSN radio] "How we were one-nil down at half time was beyond me. We played very well with the ball. We gave away, obviously, a goal in the first few minutes and we were chasing. The character in the second half, we continued to play the way we wanted to play, continued to chase that goal, we got the goal and we let them off the hook again. The second goal could have been avoided." [On TSN radio] "I can't fault the performance, the way we played. I can fault the result because we didn't win." On continuing inability to convert chances" [On TSN radio] "Teams are not going to roll over and let you have endless chances. You've got to create your chances and sometimes we don't create enough chances. We created a number of chances today. Are they clear cut ones? No. If you look at the chances we had in the first half compared to the ones Montreal had, they go in one ahead. It's a learning process. We'll deal with it." On resting players v Montreal and not v LA which is harder game to win: [On TSN radio] "You talk about three games in a week and how you manage that. Effectively, it's done in results. If you lose a game, it's the wrong decision. I could have played exactly the same team as Saturday and we lose and it's the wrong thing to do. Today, I decided to freshen it up because it's the right thing to do. The energy in the team was good, the performance was good, so it was the right thing to do. We lost, so I'll have to accept that and will take responsibility for that." [on TSN radio] "It's about managing it, but again with managing it, you need to get results. If you don't get a result, people will question you and say it's the wrong thing to do." [in scrum] "I firmly believed this team could win this game, and it showed based on performance that they should’ve won the game. So I’ve got confidence in every single player in my group, and my starting roster was based upon that." On going for the win and not settling for a draw: [On TSN radio] "We made our substitutions based on wanting to try and get back in the game. If you put an attacking sub on then obviously you get back in the game and we've got attacking players on the field. When we went to 1-1, I firmly believed we could go on and win the game, and so did the group. It's not naive from us because the worst case was we had a point, but if you don't do your jobs correctly you give up a point sometimes. Unfortunately we lost a point today." On bad start to stretch of road games: [On TSN radio] "We know we're on the road for five games. This is the first game, unfortunately it's a loss, which you have to accept. You've just got to go and try and win the next game." On what they did wrong and how to improve for Saturday: [in scrum] "We need to out our chances away. Football is a game where, if you’re able to take your chances when you’re on top, you’re going to win the game. We were 1-0 behind at half somehow and obviously showed great character to get back in the game. We gave a bad goal, we left him, but it was a good finish, he’s a very talented player, but we could’ve avoided that." DAVID OUSTED On the Whitecaps going for the win: "I think we need to go in and try to get three. I feel like we had the chances going forward today and we don’t want to sit back and get draws in a row, we need to get wins as well. Today it didn’t go our way." On the first 15 minutes: "If you go away from home, sometimes you won’t have the ball. We’re good at that and hitting them on the counter. I thought we did well today creating chances, but we let in two bad goals and that killed us today." RUSSELL TEIBERT On Montreal winning: "I think Montreal was clinical on the chances that they had and they ended up getting two goals. I think there are a lot of things that we can do better but there’s a lot of positives that we can take away from this game. Resiliency; I think we have this never say die attitude that when times are tough and we need to get back in the match, were never going to say it’s over if there’s still time on the clock." On the last 10 minutes: "It’s about being focused for 90 minutes. You can do things right for 85, but if you don’t do the tasks you’re assigned for 90 minutes, good teams will capitalize, and that’s what Montreal did tonight." MONTREAL IMPACT FRANK KLOPAS On the win: "This game was really important; a tie would’ve been like a loss to us. There was some pressure on the guys, and not only fatigue, but from the mental aspect as well, when you’re under pressure, winning like this was huge." On a different starting XI: "We make decisions based on how guys play in games. I wasn’t going to make a lot of changes because it’s very hard to stop the rhythm of the team, but I thought the changes we made were good, and I think it’s important because it keeps everyone on their toes and we need to be fair with everyone." EVAN BUSH On playing at home: "We have a good feeling when we’re playing at home, and regardless of what we did on Saturday there’s always a way to bounce back. It’s a funny league. Columbus for me is one of the best teams in the league and they got smoked tonight on the road." On taking success to the road: "We need to be a little more comfortable on the ball. We did well with where we drew the line tonight defensively. We didn’t get too high, we didn’t let them get their fast guys in behind us. With our guys up top we do well with when were in transition. From that standpoint we take that on the road, and to be fair you sit back on the road creating a lot of space, and from there we should be confident in exploiting that space." PATRICE BERNIER After not having played for so long: "Personally, it’s always great to start the game and have the support of the crowd as well. The most important thing of course is to win, and this was a very important win after Saturday’s performance. We needed to bounce back and now were perfect at home, now we need to start getting points on the road." On finding success on the road: "We need to start finding success in the second half, where we don’t always have the ball and it’s not always easy. But tonight we were alert, concentrated and focused, we didn’t give them great chances and we took advantages of our opportunities. On the road its never the same, we need to be more alert and focused, and more mentally alert." ESPN Deportes - America suffers more than necessary in a first-leg draw with Impact America's Saviour appeared when they needed him most. Oribe Peralta woke a sleeping and dazed America to give hope to the Eagles, who suffered against the Impact in the final round of the CONCACAF Champions League at the Azteca. Oribe appeared and Matosas could breathe. At the end it was drawn at one goal apiece and left all be decided in Montreal. America didn’t encounter a Herediano in the Azteca as happened a few weeks ago. The Eagles faced a more prepared, experienced and focused Impact. Montreal knew what they wanted and what they needed to do to get that. Their clear ideas were reflected throughout the game. Secure in defense, strong in midfield with the indomitable Nigel Reo-Coker and shrewd front with Ignacio Piatti and Dominic Oduro, the Canadian group settled in the Azteca, played with intelligence, always very patient and tidy. They had a well prepared plan and followed it step by step. Azteca Deportes (Mexico) - Oribe Peralta rescues America from ridicule The controversial play of the first half came when the Honduran referee, Hector Rodriguez, decided to annul a goal by Michael Arroyo due to an offside call. It was a close play and disputed by the Americanistas who filled the grandstands. Amid an ineffective attack, Gustavo Matosas subbed in Oribe Peralta during the second half, who in the end became the hero for the azulcremas. Another incident that deserves noting occurred when Benedetto came off the field to a chorus of boos to make room for Martín Zúñiga. In a clear sign of disapproval, America's number nine made a hand gesture that seemed to indicate the fans were crazy. Medio Tiempo (Mexico) - America left with life against Impact He had to come off the bench to give new life to America. When it seemed that the doubts would become that much larger, Oribe Peralta appeared in the agony of the match to make it 1-1 against the Montreal Impact, and Matosas’ Eagles remain with aspirations to reach the final of the CONCACAF Champions League. After missing on a number of occasions, the Mexican striker appeared to head the ball home just as despair was starting to grip the team and the fans that filled the Azteca. And it was in those final minutes when the colossus really woke up and appeared ready for a memorable comeback, because for most of the game the Canadian squad knew how to keep the game quiet and take advantage of America’s offensive blunders. La Nacion (Costa Rica) - The Montreal Impact take a grand step toward the Concacaf title The Canadians were not intimidated during their visit to Azteca Stadium and rather were two minutes away from the win against America. Meanwhile, the America squad suffered yet again and battled against the scoreline until the 88th minute due to an early goal on 16 minutes from the Argentine midfielder Ignacio Piatti. The visitors were better team in the first half; they handcuffed America in midfield and took advantage of the the speed of their attackers to do damage on the counterattack. Diez (Honduras) - America rescues a tie against the Impact In the first half the Montreal Impact had two chances to grow the lead: the first was wasted by Piatti who tried to float the ball over keeper Moises Munoz; the second was interrupted by a pulldown by Paraguayan Osvaldo Martinez on Dominic Oduro, who had started to break away one-on-one with the Mexican goalkeeper. In the second half, urged on by the sound of 100,000 followers, America tired of generating dangerous opportunities and failing to capitalize. Quintero, the Argentine Dario Benedetto and Oribe Peralta let Bush off the hook in front of goal. Then the crossbar denied America the tying goal at 67 minutes as Argentine Rubens Sambueza bounced a powerful left-footed shot that hit the bar from the middle distance.